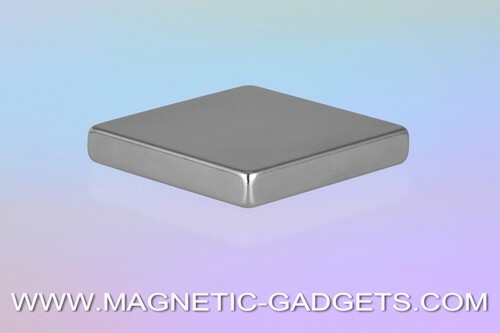 This super strong 3cm wide Neodymium magnet is perfect for different magnetic experiments or any other project that requires Neodymium magnets. Be careful when handling large magnets as Neodymium is a brittle material and will break if magnets are dropped or snapped together. Given the manufacturing methods required to produce such a big magnet, it’s considered normal that small esthetical imperfections be visible in the plating of big size magnets. Those small imperfections, such as little bumps or scratches do not affect in any way the performance of the magnet. This product is not a toy and must not be used by children. This product is to be used for scientific experiments or industrial applications only. This product contains powerful magnets that can be harmful or potentially fatal if swallowed. Powerful magnets are fragile and may break of chip if they are snapped together or if they hit a hard surface. Always handle powerful magnets with the utmost care. It is your responsibility to review the warning page prior to ordering. Special precautions have to be taken when handling such powerful magnets. Metallic objects and other magnets will be attracted to the magnet with amazing strength and velocity. If a body part is placed between the powerful magnet and another magnet or a metallic object, it is powerful enough to break skin or small bones. When handling this magnet, we strongly suggest that you use thick work gloves and wear safety glasses. When manipulating or unwrapping your powerful magnet, ensure that no other magnet or metallic object is located within a 1 meter radius. We’d also like to remind you that, according to our service terms, we are not responsible and cannot be held liable for any injury or damage that may occur following the usage of any of our products.